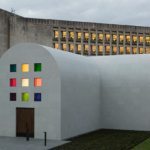 The Blanton Museum of Art at The University of Texas at Austin has finished the construction of Austin, the last project of artist Ellsworth Kelly to be realized before his death at the end of 2015. 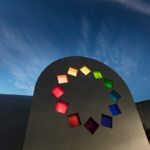 Austin is Kelly’s first foray into architecture, and the T-shaped, secular sanctuary is flooded with multicolored light at every junction. 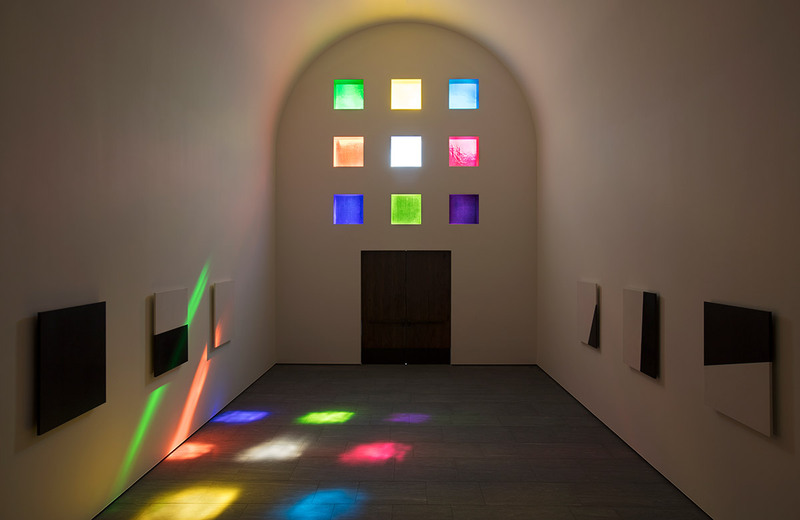 The completion of Austin is the result of a $23 million campaign by the Blanton, after Kelly gifted the building’s design to the museum in 2015. 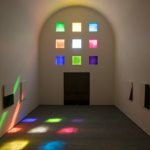 The 2,715-square-foot, chapel-like building was conceived of as existing without a religious component, and its most prominent feature, multicolored, mouth-blown stained glass arrangements at each of the façades, splashes the interior with focused patterns. 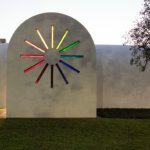 All of Austin, inside and out, focuses attention on Kelly’s use of colored grids. 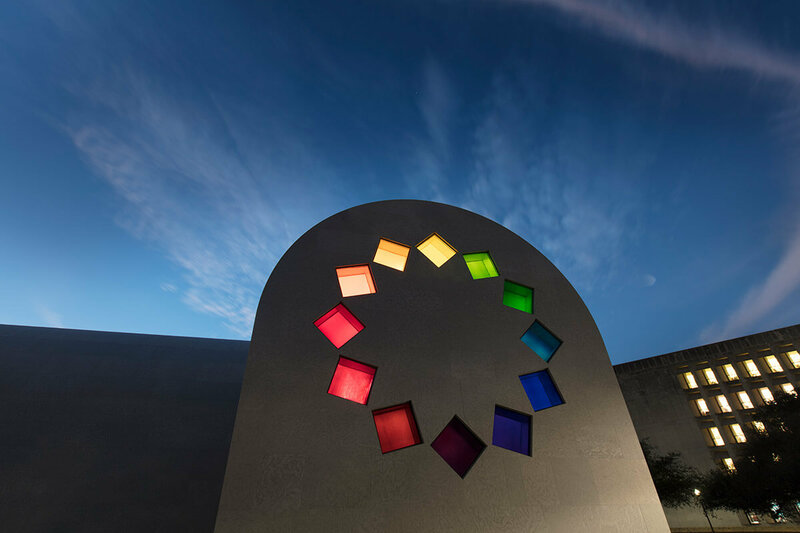 The curving exterior of the building is clad in limestone panels sourced from Alicante, Spain, while the floor of the surrounding plaza and connected interior are made of black granite. One of Kelly’s “Totems” will be on display inside, an 18-foot-tall sculptural form carved from salvaged 19th century redwood. 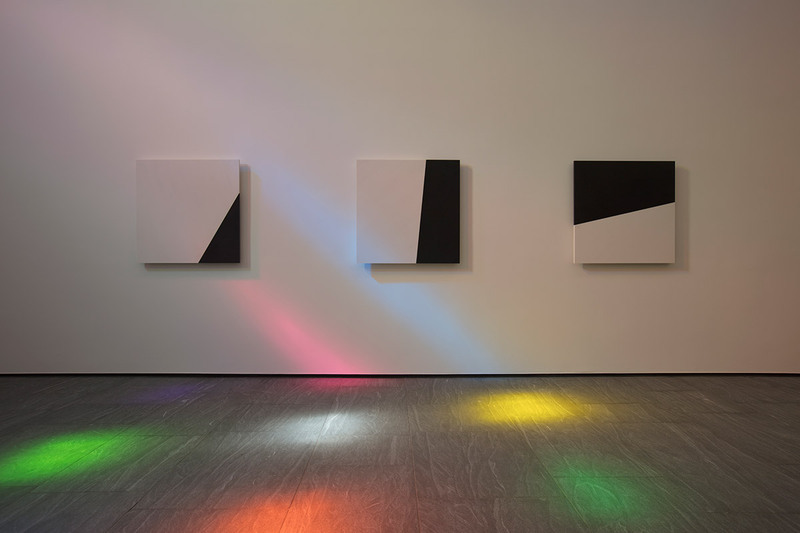 Despite the piece’s professed areligious alignment, Kelly chose to adorn the interior walls with 14 40-inch-by-40-inch black-and-white marble panels which abstract the Stations of the Cross. The white marble comes from the same quarry in Carrera, Italy, from where Michelangelo sourced his marble, while the black marble is Belgian. 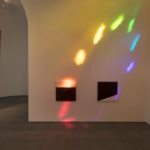 Drawing attention to the interplay between colored light, air, and heavier physical materials is Austin’s central concept. The building accomplishes this by varying the window orientations at every façade. 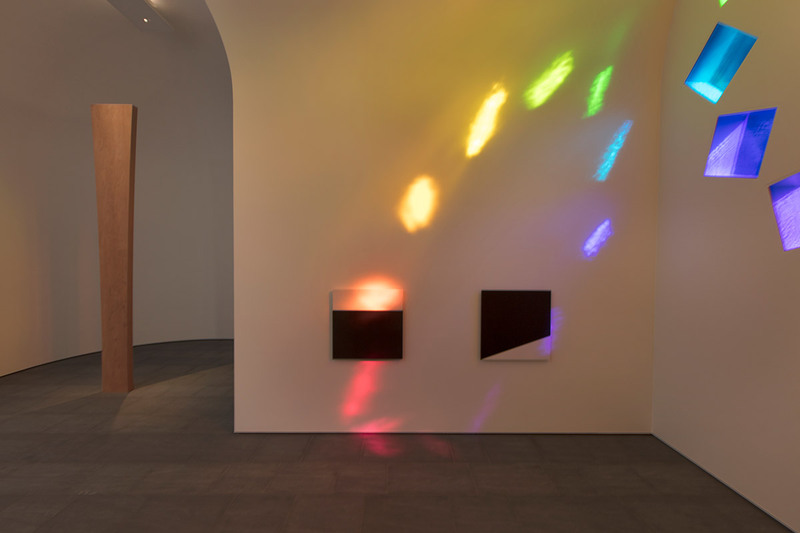 On the south side is the “color grid,” a three-by-three lattice of square glass pieces, while the east façade’s “tumbling squares” takes those same pieces and rotates them around a circle, referencing the north transept rose window at Chartres Cathedral in Paris. 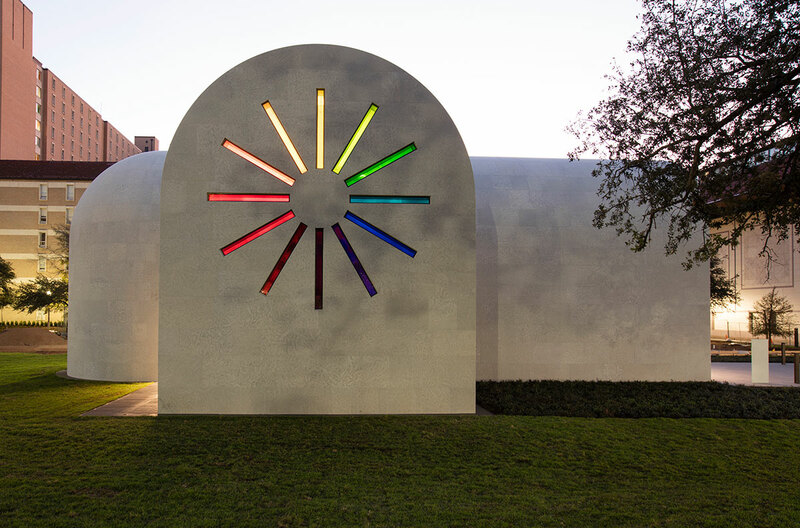 The west façade’s “starburst” window elongates the tumbling squares into narrow streaks of color, not dissimilar to Apple’s spinning loading wheel. 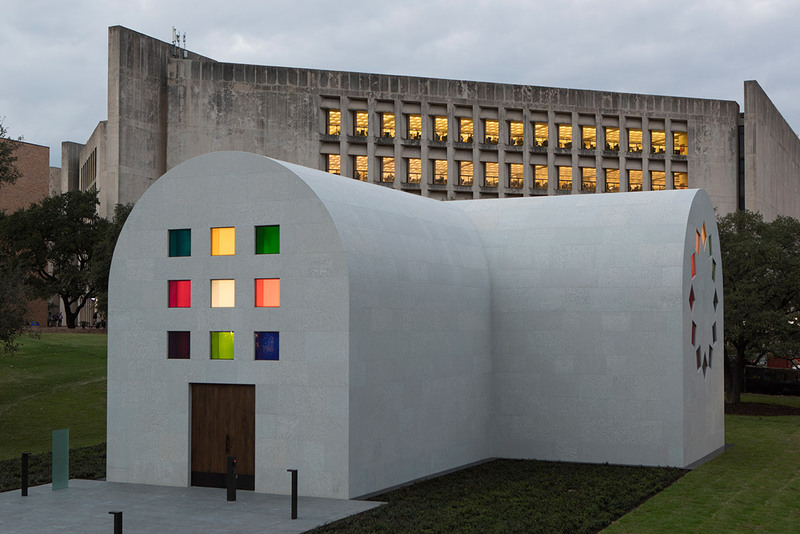 Austin sits adjacent to the Blanton and is surrounded by a blanket of green space, and officially opened to the public on February 18 alongside Form into Spirit: Ellsworth Kelly’s Austin, an exhibition meant to explain Austin’s context in Kelly’s canon of work.